Since the 17th century, there has been British rule in India. It was known as British East India Company. The colony had been ever expanding. Since their rule established in India, the British wanted to capture Nepal and expand their colonial territory. They always favored the rulers in Nepal who wanted to please them and didn't seem to cause any resistance to their plan of colonization. As per their long-cherished plan, they fought against Nepal from 1814-16 AD. While the English were still expanding their colonies in India, Nepal was being united. The unification was naturally against their interest. Immediately after victory won over Kathmandu and Patan, king Prithvi Narayan Shah had driven out all the Capuchin risk for themselves. The defeated baise and chaubisi kings, taking shelter in India, spared no pains to instigate the English to go in a war with Nepal and defeat it so that they could regain their lost territories. The English authorities sent their trade delegates to Nepal time to time to solve their political and commercial interests. The teams of delegates, headed by James Logan, Fox Craft, Kirkpatrick, Maulavi Abdul Kadar Khan, W.O. Knox, etc. had come to Nepal for the purpose, but in vain. Bhimsen Thapa was deadly against English. He had bitter experience of the activities done by English people in India when he had been to India to give company to Rana Bahadur Shah. Bhimsen Thapa wanted to drive the English people away not only from India, but as much from Asia so during the days of his term of office, he was trying to form a union of Asian states, including Maratha and Punjab with due understanding established with them. He had also tried to bring Tibet and Burma on his side. He also gave much attention to the military strengthening of Nepal. So Bhimsen Thapa's activities were highly opposed to the interest of the English. The forests of Nepal were abundant in various wood species. The East India Company wanted to establish shipping industries in India through the use of wood brought from this forest. 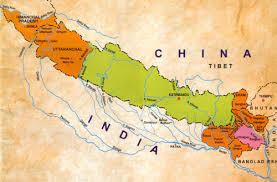 The East India Company wanted to expand its trade from India to Tibet through Nepal. But the government of Nepal was not favoring the entry of foreign traders into Nepal for various reasons. Since the English people were from the cold country it was difficult for them to run the administration from their station in India, which is a tropical country. So they were in search of cold places like Nepal. Besides, the crossroad position of Nepal between India and Tibet also tempted them to go in war with Nepal. The dispute over the issue of Butwal and Syuraj was the immediate cause of the Anglo-Nepal war. Since early days, the king of Palpa had been occupying those territories in the terai region. On the condition of paying revenue to Nawab Bajir of Abadh. The Nepalese force had taken over Butwal and Syuraj along with Palpa at the time of unification operations. In the mean time the English Governor, Marquis of Hastings gave a threatening letter to the government of Nepal for the immediate return of Butwal and Syuraj to them. But Bhimsen Thapa, stubborn in nature was not coward. Administrator to yield to the threat of the government General. The English battalion enters the territory of Nepal 8 days earlier than the formal declaration of the war was made. The war went on for nearly 2 years. Nepali warriors fought bravely and resisted the English attack in many places. Still overall events of the war went to Nepal. Bhimsen Thapa had expected help from Punjab, Gwaliyar, and Maratha but in vain. So Nepal was compelled to sign a surrender treaty i.e. the Sugauli Treaty under humiliating circumstances on 2 December 1815 AD. The treaty was handed over to the East India Company with King's approval only on 4 March 1816 AD. The Anglo-Nepal war or the treaty, in particular, had the following consequences. Nepal was obliged to surrender 1/3rd of the total land to the company. Nepal lost the cold areas like kumaon, Gadhwal, Nainital, and Darjeeling. The Indian ambassadors to Nepal interfered in the internal affairs of Nepal in the face of opposition made from time to time by the Governor Generals. Politics of conspiracy in the palace played their roles. Nepalese entry into the British army was on the rise. The treaty, however, had some advantages for Nepal. It marked the end of the Anglo-Nepal conflict. The two sides became friendly and mutual cooperation started in the subsequent years. Nepal could prevent further loss of its territory and life and property by agreeing to the treaty. Nepal lost the cold areas like Kumaon, Gadhwal, Nainital and Darjeeling. What do you think were the main causes behind the Anglo-Nepal War? Political causes: Nepal's growing army strength and activity was looked upon by English as a risk. Economic causes: Nepal was only the way to Tibet. The forest product of Nepal and position of cross road of Nepal could be useful for English. Natural causes: They found the physical climate of Nepal suitable for them and lure the climate of Nepal. Why is the issue over Butwal and Syuraj regarded as the immediate cause of Anglo-Nepal war? Before the unification, Butwal and Syuraj was under the control of British. But at the time of unification, the Nepalese force took over Butwal and Syuraj. Although getting a threatening letter by the British, Nepalese firm not to return Butwal and Syuraj. 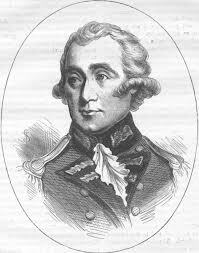 As a result, the English governor declared war with Nepal. How should we preserve our glorious tradition? Conducting awareness campaign to acknowledge people importance of tradition. 'Bhimsen Thapa was not a coward but a brave nationalist.' Justify this statement. 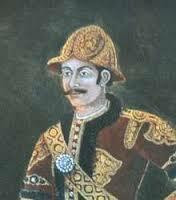 Bhimsen Thapa was a brave warrior of Nepal. He initially served as King Rana Bahadur Shah' bodyguard and personal secretary. Bhimsen Thapa contributed a lot during the unification of Nepal. Bhimsen Thapa, although getting threatening letters from English, didn't yield the threat instead fought. How were the Gorkhalis benefited from their victory at Nuwakot? It was a trade route between Kantipur and Tibet. It was the western doorway to the valley. It was suitable place to get information about the valley for gathering news about the valley and ideal place to build fort due to its location at a height. Due to its fertile soil, it would produce fruits, grains and green vegetables. Why did King Prithivi Narayan Shah establish friendly relation with Lamjung and draw Bhaktapur to its side? Lamjung was more powerful than Gorkha. It could be the obstacle of unification campaign. Prithivi Narayan shah established friendly relation with Lamjung to control it. The king of bhadgaun, Ranajit Malla was the father his friend. Prithivi Narayan shah wanted to conquer the valley without betraying him. So, he drew Bhaktapur to his side. Write difference in construction between Kantipur and Nuwakot palace. There are many buildings in Kantipur palace. Only few buildings are constructed in Nuwakot. Kantipur palace is constructed in an advanced and attractive way of pagoda style. Very strong and beautiful bricks are used in Kantipur palace. Similarly, many figures are carved and strong wood is used. But Nuwakot palace is made up of moderate bricks and wood carving. What lesson did Prithivi Narayan shah learn from his defeat with Nuwakot? Required number of trained solders. Co-operation of the people in general. What were the obstacles that Gorkha had to overcome before they conquered Nuwakot? There were political and economic obstacles for Gorkhali when they were trying to conquer Nuwakot. The opponents could attack Gorkha any time. In order to avoid this, Prithivi Narayan shah pacified Ranjit Malla giving the words that he would give him Sankhu, Changu, Dolakha, Naladum and Mahadev pokhari. Similarly, he collected money from the people and father-in law and imported arms and ammunition and technologists. After he solved both problems, he conquered Nuwakot in 1801 BS. How did British start to rule over India? What was the immediate cause of Anglo-Nepal war? While british were returning to Britian why didn't they returned its territory to Nepal ?Why did the British returned the territory of Nepal to India while they were returning to Britain? Any Questions on 'Causes and Consequences of Anglo-Nepal War '?